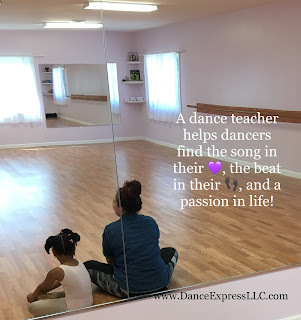 Dance teachers want their students to succeed!Dance teachers work just as hard outside of the studio! Researching, training, choreographing, music editing, performance prepping, office work, and more.Dance teachers love to be thanked.When dancers are tired and a little sore, it means they have been working hard and the dance teacher feels they have done their job well.Not everyone can be a dance teacher, it involves patience and passion.Dance teachers are love when their dancers reach their personal goals!Dance teachers know that the best dancers are the ones who are respectful, work hard, and apply corrections!Teaching dance involves much more than simply teaching steps.What dance teachers want most is to share their passion for the art of dance!Dance teachers consider you part of their dance family for life! Dancer's need to be properly nourished and hydrated. Like any physical activity, taking a dance class requires high energy levels, concentration, focus, and strength. One way to meet these expectations is to eat foods before the class that will help you meet these requirements. Not eating before a dance class and not being properly hydrated can leave you feeling weak and exhausted. According to research, it is better to eat at least one to two hours before a dance class rather than right before the class begins. Dance class can bring on physical exhaustion, pain, and soreness. 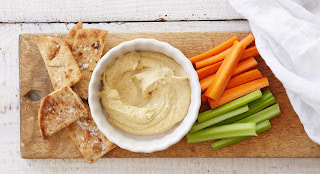 Eating certain foods can possibly alleviate some of the soreness and exhaustion. Here are a few suggestions on what you can eat that will give you energy, good nutrition, and help you stay focused. I'm a mom of two awesome kids, Thomas and Theresse. I have been married for over twenty-five years to my wonderful husband, Michael. I am the owner/director of Dance Express LLC in Norwich, CT! I also work as an early childhood education consultant! My friends are the best. I was raised around my cousins whom I adore. I've known my best friend, Heather, for over 45 years!